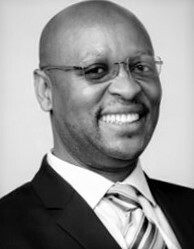 Mpho Mothoa's career began as a metallurgist for Mintek and for the last 20 years he has worked his way up the corporate ladder through various operations and executive management roles. These include General Manager Processing at Rio Tinto's Palabora Mining Company, and Chief Operating Officer for Rio Tinto's Rössing Uranium Ltd in Namibia. He was appointed the Managing Director of Richards Bay Minerals (RBM) and Rio Tinto Country Head in June 2013. Mothoa's professional journey has been driven by humility and his ability to engage with both the top and bottom echelons of the organisations in which he has been involved. His advancement has not always been easy as he has had to often deal with the label of "first black manager, GM, MD etc." on many occasions, which at first glance might seem flattering but the problem is that it might undermine the merits of progression. Mothoa is justly proud of his capabilities and his 20 years of experience in the mining industry, which has well prepared him for his current responsibilities, rather than the colour of his skin. Mothoa said, "A major challenge that I have experienced along my journey has been confronting the different cultural environments of the various parts of South Africa and Namibia where I have worked. He added, "Although I have a strong determination and will when required, I am also flexible and understand the necessity for an adapt or die philosophy." An important contributor to his success has been in his ability to blend an Africentric or a Eurocentric approach to leadership as circumstances have required. An Eurocentric approach places emphasis on individuals while dealing with communities requires an Africentric approach, which is collectivist in nature. This has proven to be a useful skill in a mining environment where stakeholder engagement, including community and worker interaction, is essential. Mothoa said, "My current role of driving RBM's continued success is exciting but very challenging. It includes the need to maintain low costs and being more efficient in everything that we do." He added that in order to be successful it is also necessary to employ the right people who are passionate about their careers and willing to make a difference as well as be innovative. He said, "RBM's leadership values are an important driver of the daily interaction with the operations. While we have very good systems in place, we strive for continuous improvement and our people are empowered to challenge the processes when required, which ensures a healthy working environment." RBM continues to work with the four host communities in Richards Bay, where the company is often seen as both "father and mother". Mothoa said that enterprise and supplier development is an important pillar of the community strategy so that communities are able to stand on their own feet and are not dependent on handouts. Part of this strategy is in ensuring the empowerment of entrepreneurs through skills development programmes to enable them to become suppliers to RBM and other companies in the region. "However, the joint effort of business and government is required to ensure that social policies and investments are in place to promote entrepreneurs and assist small and medium sized enterprises," he said. Mothoa further commented, "People want short cuts but they need to understand that there is no short cut to success. We must establish business enterprises that are sustainable and not reliant on tenders given by their associates." Mothoa enjoys relaxing with his young family in his spare time. Travel and particularly camping provides time out from the pressures of the workplace. He is also a social runner, a pastime he does with his wife, Dorcas. He said, "My personal objectives are happiness, good health and success; and I believe I tick all the boxes at the moment."